Protein and nutrition packed for a quick on the go tasty treat or breakfast. Rinse Great River Milling Garbanzo Beans before boiling. Boil beans for 30 to 40 minutes. Rinse with cool water before adding to food processor. Add cocoa powder and vanilla to the food processor and start chop and blend. You may have to stop and scrape the edges. Add cocoa garbanzo beans to a large bowl or mixer bowl. Add the old fashioned rolled oats. Warm up the peanut butter in the microwave for about 20-30 seconds until runny. Add to big mixing bowl and turn mixer on medium. Add in the hemp protein powder, golden flaxseed meal, and chia seeds. Blend for a bit more. In the same bowl utilized for the peanut butter add measure out the honey into the same bowl. Pop into the microwave for about 15 seconds to then scrape into big mixing bowl. Blend and add the mini chocolate chips. Cover square or rectangle baking pan with parchment paper. Enough on each edge to curl over the edges. 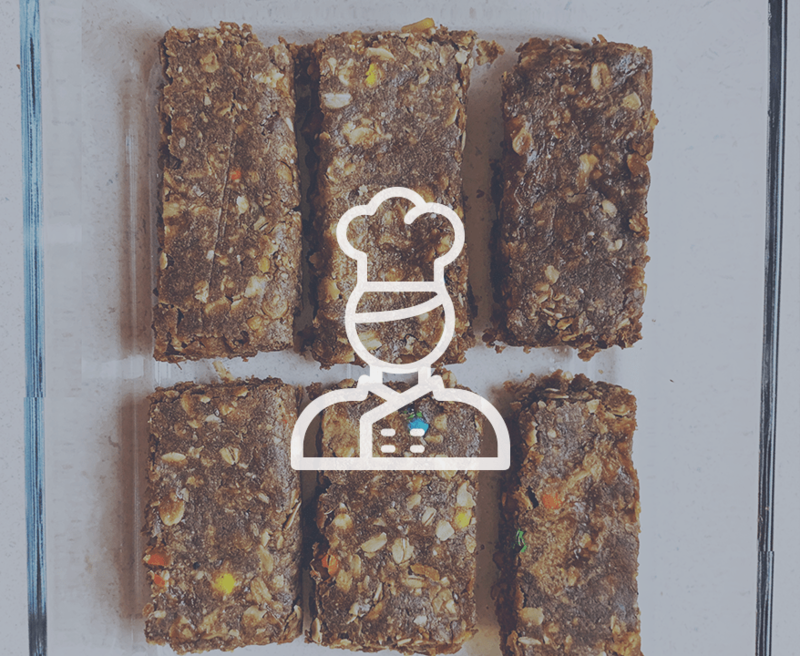 Spread the granola bar mixture out into an even square or rectangle. You may need to use the edges of the parchment paper to fold over and smooth out an even layer of the mixture in the pan. Once oven is preheated place in oven for about 10 minutes. Take out of the oven and set aside to cool before cutting into strips.